It’s been a long, cold Winter here in rural, South-Eastern Australia, but spring is finally here. The fruit trees have blossomed, the canola fields are neon yellow, pretty bulbs have come and gone: tulips, daffodils and irises. The rose bush is now in bud, and my pot of carnations promises flowers soon. Lavender flowers have emerged a deep shade of purple after dying off over Winter. The grass is green and needs constant mowing, the sun is plentiful, encouraging weeds to shoot up rapidly. I’ve spent a lot of time in the garden recently, fingers in the dirt, smelling the cut grass, the uprooted weeds and the flowers. It seems like an appropriate time to embrace floral perfumes again: they mimic my real-life experience of Spring, which promises vibrant new life, energy and growth. When I travelled to Europe in March 1999, I spent some time in France, on the cusp of Spring. I was keen to visit painter Claude Monet’s famous garden at Giverny near Paris, but was mortified to find out, once in Paris, that the garden didn’t open until the 1st of April. As I had plans to be in Provence before then I sadly had to forgo my visit to Giverny. The Iris Garden at Giverny by Claude Monet (1900). Public Domain. Sixteen years later, perfumer Dawn Spencer Hurwitz has given me the chance to experience an olfactory visit to these gardens with her fragrance collection Giverny in Bloom. Giverny in Bloom was created for the Denver Art Museum’s In Bloom: Painting Flowers in the Age of Impressionism exhibition, which has been running throughout the American Summer and finishes this coming Sunday, 11 October. The exhibition showcases floral, still-life paintings by 19th Century French Impressionist painters, including Manet, Degas, Monet, Renoir and Van Gogh. For anyone living in or near Denver who is interested in olfaction, you still have a chance to visit and experience the special scent experience that Dawn has created for this exhibition. 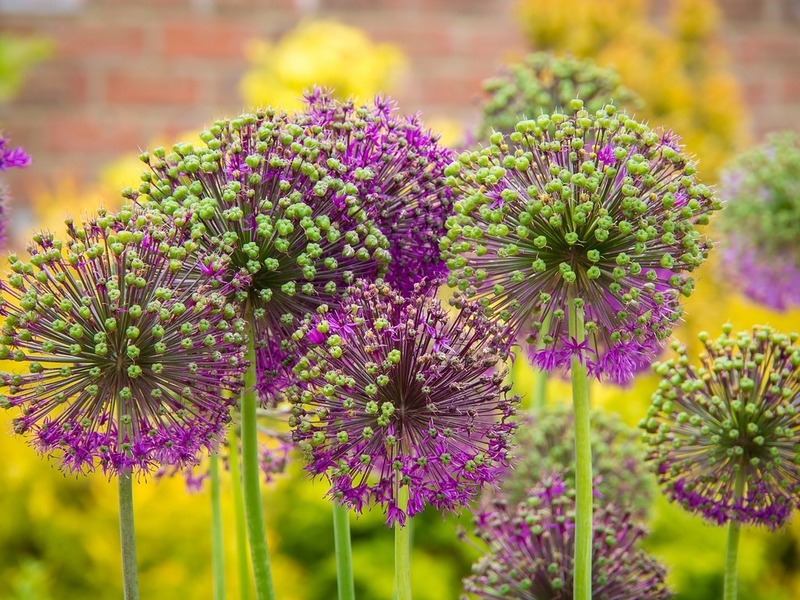 The Giverny in Bloom collection is also available to purchase from the DSH website, so if you can’t experience the scents in the context of the exhibition, you can still enjoy them at home. Dawn is a perfumer, painter and synaesthete and has collaborated with a range of other artists and with the Denver Art Museum many times before. The Giverny in Bloom scent experience takes place in its own room at the In Bloom exhibition. The room features a panoramic photograph of Claude Monet in his famous garden, and the scents designed by Dawn are dispersed into the space with specially-designed diffusers. 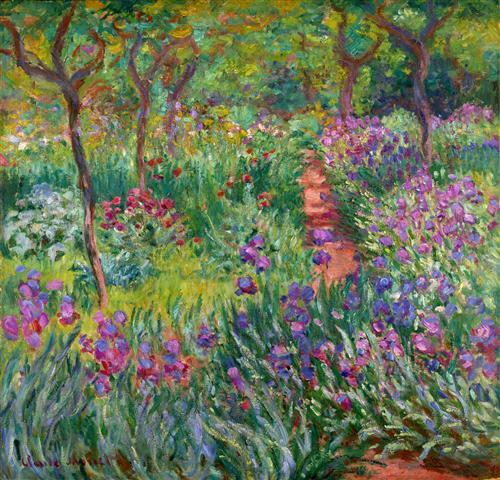 Dawn’s scents were inspired by the flowers and plants found in Monet’s garden at Giverny, with a focus on Spring and early Summer flowers, as well as paintings by Monet of Giverny, and floral artworks by other painters in the exhibition. The scents and their placement in the space are intended to convey the impression of being in a garden, moving from one fragrant flower bed or garden space to another, through the use of three separate accords. Each of these fragrance accords is linked to colour. “Le Jardin Vert” (The Green Garden): a refreshing, slightly cleansing blend of green leaves, trees, and moist earth scent. This aroma of fresh cut leaves and soil greets the visitor and gives its last breath to you as you leave the garden room. “La Danse des Bleus et des Violettes” (The Dance of Blues and Violets): a lighter, mildly watery interpretation of violets, heliotrope, irises, and lilacs. “L’Opera des Rouges et des Roses” (The Opera of Red and Pinks): a dramatic, heady scent dominated by old roses, red and pink, peonies, red geraniums, and carnations. Water Lily Pond at Giverny by Claude Monet (1900). Public Domain. 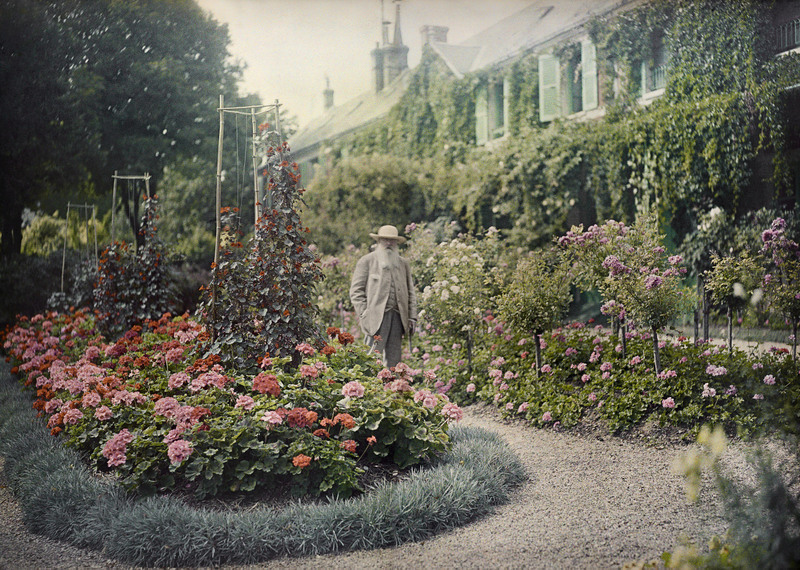 Claude Monet in his Garden at Giverny, 1921. As well as including Dawn’s descriptions of the Giverny in Bloom scents (see above), I also want to share my own impressions of the scents with you. I’ve written some quick sketches, or micro-reviews of each of the four scents below. Dirty. I smell the realistic scent of freshly dug earth, sweet grass and green leaves. A garden waiting to be planted: empty beds in a manicured garden bordered with neatly clipped lawns, waiting for flowers. Like the inside of a flower shop, which, oddly, these days, rarely smell of fragrant flowers and more like cut stems, greenery and water. Rich and vibrating with excitement and intense energy. The rose is crisp and tart and the clove-like, peppery carnation adds a spicy undertone that makes the fragrance shimmer even more. This is a deeply exuberant scent and it literally took my breath away when I first sniffed it. My favourite of the collection. Soft and comforting and old-fashioned with notes of Victorian violet, iris and heliotropin dominating. I’m reminded of Guerlain’s L’Heure Bleue, though this is softer and as it develops, watery notes emerge and take over. This is a watercolour-soft fragrance. It’s delicate, realistic and pretty. A realistic, interesting and complex scent – just like that of a real garden. At first I smell mostly the green, dirty, watery and softer floral notes (the blues and violets), but as the fragrance warms and settles, the sweeter, richer red and pink flowers emerge. The smell of dirt remains subtly throughout, which reminds me that I’m smelling the scent of a garden, not just a bouquet of flowers. It’s been a delight to be able to experience Dawn Spencer Hurwitz’s Giverny in Bloom collection, particularly at the height of Spring in Australia, when smelling these lovely floral and garden-inspired accords and fragrances seems particularly apt. As a veteran collaborator with other artists and galleries, and as a synaesthete, perfumer and visual artist herself, Dawn Spencer Hurwitz is the perfect fit for this scent collaboration. I wish I could visit Dawn’s special scent room and experience the In Bloom exhibition in its entirety, but having the fragrances to smell will have to suffice. These beautiful garden scents transport me in my imagination to Monet’s garden at Giverny, a place I’ve wanted to visit for many years. In Bloom: Painting Flowers in the Age of Impressionism is on at the Denver Art Museum until Sunday October 11, 2015. Visit the Denver Art Museum website for further information. The Giverny in Bloom collection can be purchased at the DSH Perfumes website. You can buy the Sample Pack (4 x 1ml) for $24 USD or a Discovery Set (4 x 3ml) for $48 USD here. 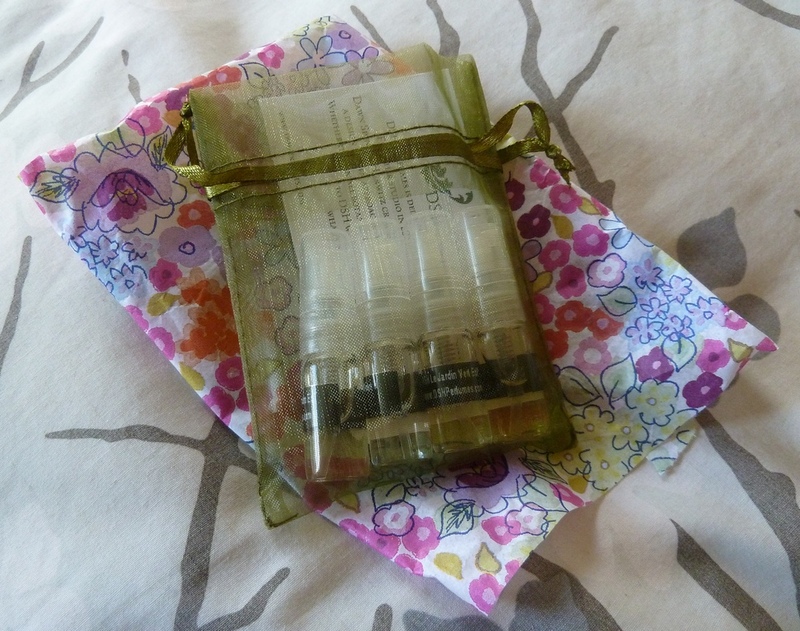 A coffret of four mini flasks can be purchased for $70 USD here. You can also purchase the individual fragrances from the collection in a range of different sizes here. You can read more about Dawn Spencer Hurwitz and her work as a perfumer and artist over at her website. 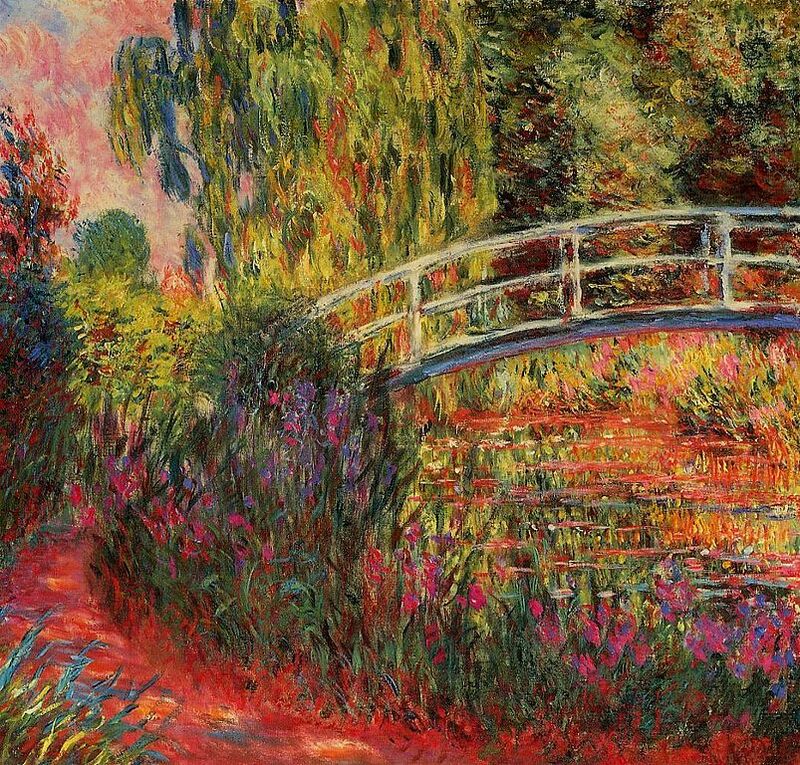 Find out more about Claude Monet’s garden at Giverny at the Fondation Claude Monet website. Warmest thanks to Dawn Spencer Hurwitz for generously providing me with a discovery set of the Giverny in Bloom collection for this blog post and review.